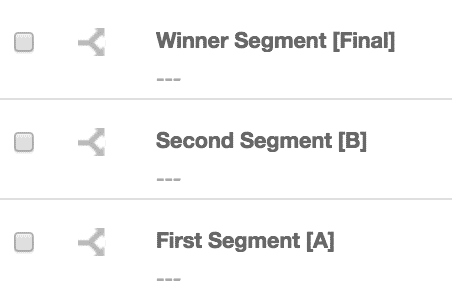 AB Winner campaigns allow you to set two to four test segments and one final segment. While you can test multiple settings or versions of a campaign, it is a best practice to minimize the number of variations in settings for each test. If you have a very large audience, it may be possible to test more settings, as each segment of your list can be larger and more statistically significant. Typically, marketers reserve the final, winning segment as the greatest percentage of their AB Winner or AB Auto Winner Campaign. The difference between AB Winner and AB Auto Winner campaigns, is that with AB Winner campaigns you will manually select the winning email variant that will be sent to the remainder of your audience. 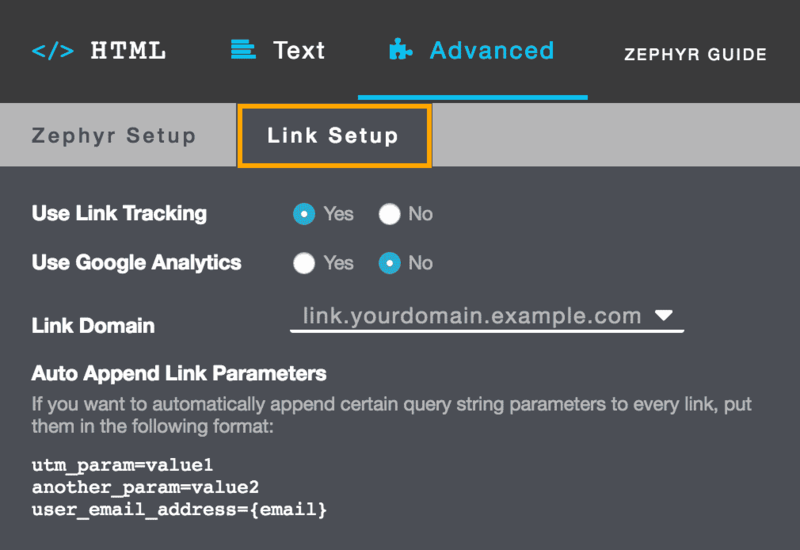 AB Winner (and Auto Winner) tests are commonly used for subject line testing or other “quick win” tests where you are quickly optimizing based on the test results. For AB Winner, you review the Campaign Summary and Detail Reports to determine the winning version and then manually copy that version for the final segment. For more information on the Purchase API, see Advanced API section in the For Developers documentation pages. Click AB Test, then select the AB Winner campaign type. 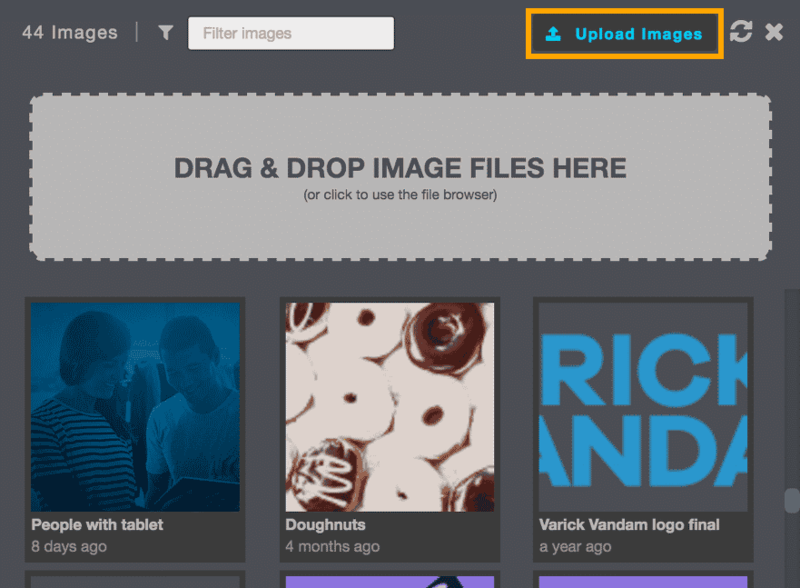 For AB Test campaigns, you’ll have the option to select the type of test for your campaign. After creating your new campaign and clicking AB Test, then AB Winner type, you’ll see the menu on the left in My Sailthru which will guide you through next steps. You can always move from section to section if you need to add information in a different order. NOTE: AB Winner campaigns display the segments above the menu, including a final segment indicated by the check mark. 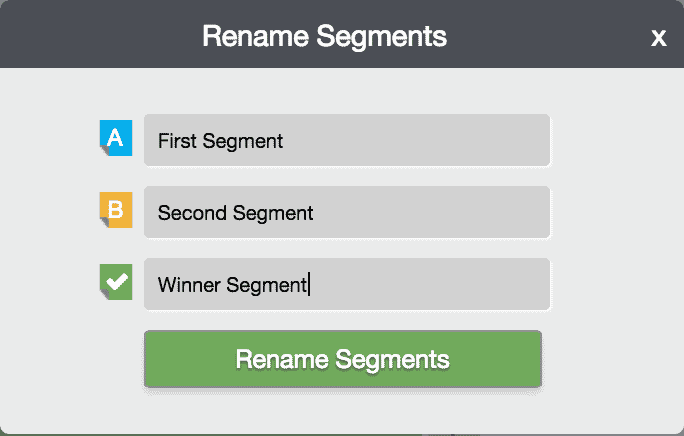 When you add a segment, it will appear with the segment letter and name of campaign. Click the campaign name next to the paper airplane icon to launch a pop-up in which you can customize the name of each campaign segment. Under Segment, click the gray plus sign to add additional test segments. 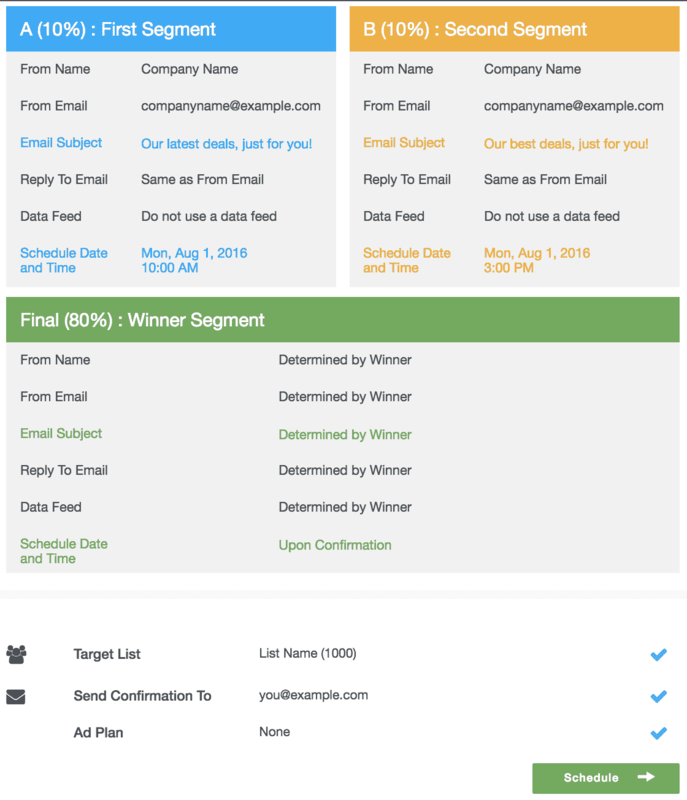 You can have up to four test segments in AB Winner campaigns and you can also modify the audience percentages for each as well as the percentage for the final segment. The minimum percentage is 10%. NOTE: For AB Winner campaigns, you can add as many tests as you have segments to optimize performance of email based on time sent. Personalized Send Time is automatically applied to optimize performance. For AB Tests, the confirmation page will provide information for each segment. For AB Winner (and AB Auto Winner) campaigns, the final segment is also shown. Note that the information for the Final segment is shown as “Determined by Winner” as the test campaigns have not yet been sent. The example below shows the three campaigns generated by an AB Winner campaign with two test segments. The winner for the final campaign must be manually selected from the Confirmation screen once both A and B campaigns have been sent out by clicking on the “Set as Winner” button in the Summary section.